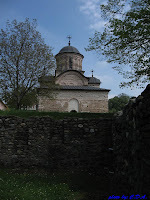 Besides the magnificent cathedral of Curtea de Argeş, one should also visit the old Royal Court built by Basarab I. 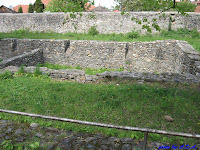 From the Palace Complex stands among the ruins the Royal Church (Biserica Domnească). 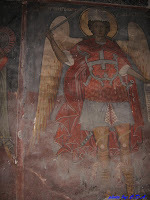 Having as patron St. Nicholas (Sf. 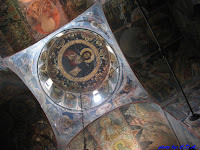 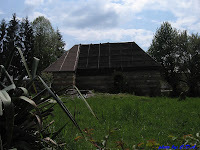 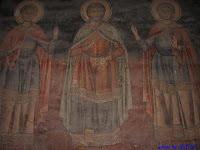 Nicolae) and dating back to 1352, the church is of the utmost historic importance. 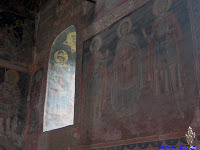 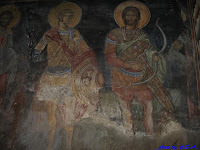 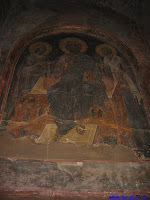 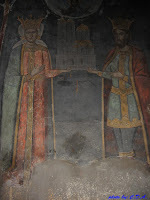 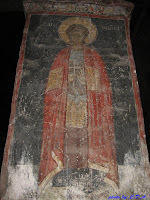 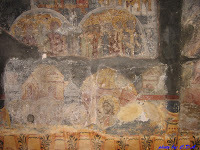 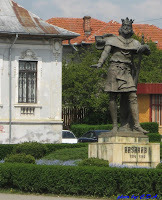 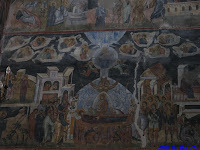 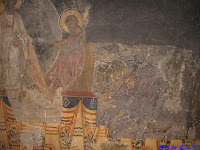 The mural paintings are from the time of Vlaicu Vodă (1364-1366), while some of the fresco fragments from XVIII-the century were also preserved. 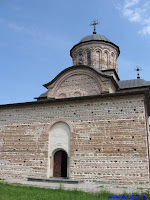 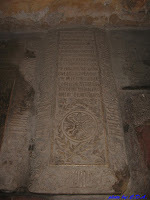 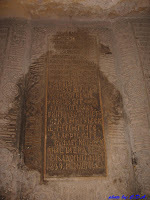 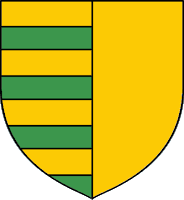 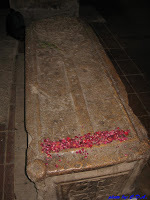 The church had been the necropolis for many Wallachian rulers from Basarab Family (also known as Bazarab or Bazaraad) and among the ruins many important archaeological findings were discovered.